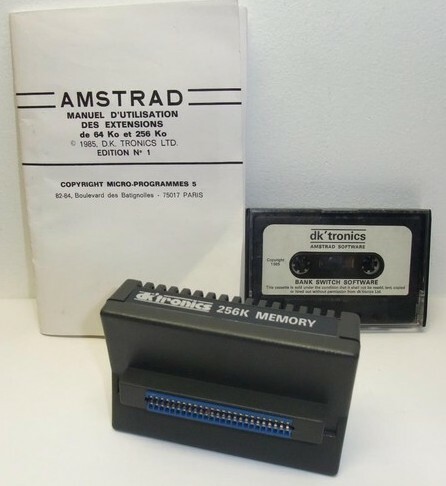 The potential for memory expansion has always been promoted as integral to the CPC machines. 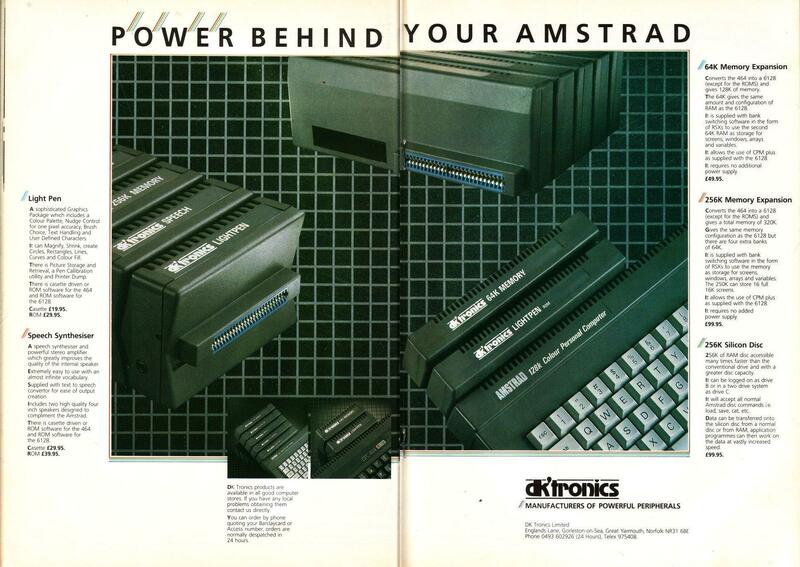 It's peculiar therefore that Amstrad has shown no interest in selling expansions itself. Spurred on by the release of the 6128, DKTronics has leapt where Amsoft fears to tread and I'm sure that it will reap its own reward. 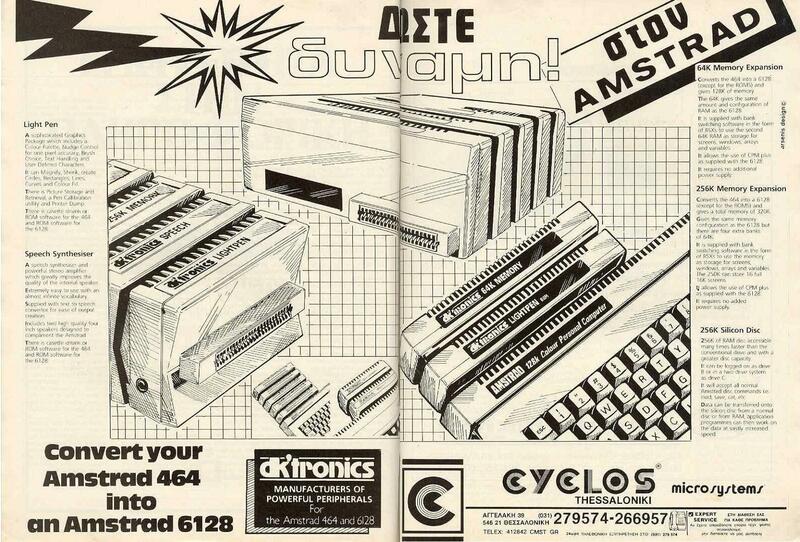 Two boards are available, 64K and 256K. 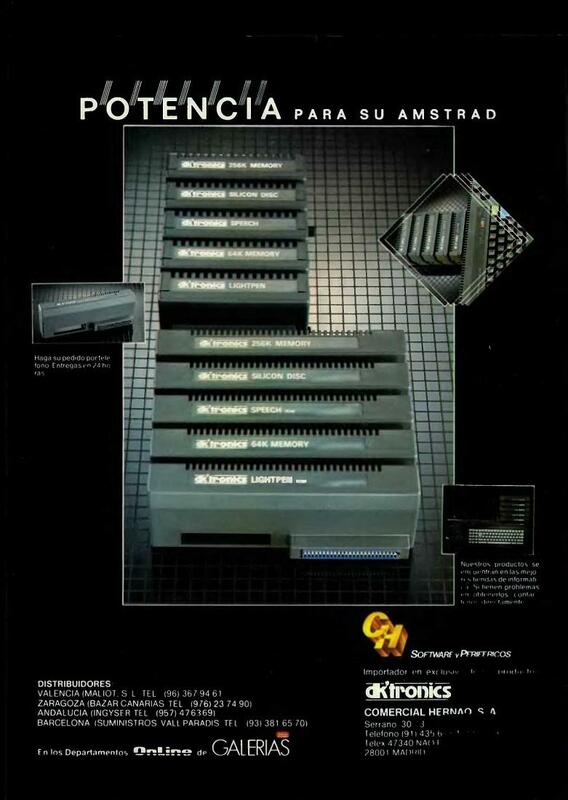 Like the 6128 the extra memory is only usable from Basic via software, RSX Basic keywords or using the Out command. Commands for loading and saving 16K screens into any of the new memory blocks are complemented by the ability to switch the screen Ram between two addresses in turn. Together these features allow some impressive animation techniques. Data, in the form of variables, strings or arrays can be stored in, and retrieved from specified areas in the new memory. Information in the expansion can also be used one byte at a time via |Peek and |Poke. Some of the most useful commands are for the rapid storage and retrieval of the contents of screen windows. Finally |Askram allows you to test the memory for capacity and errors, |Bank will switch an entire 16K block without worrying about the contents and Emulate lets you fool any program that performs a Romtest to check that it is actually running on a CPC 6128. 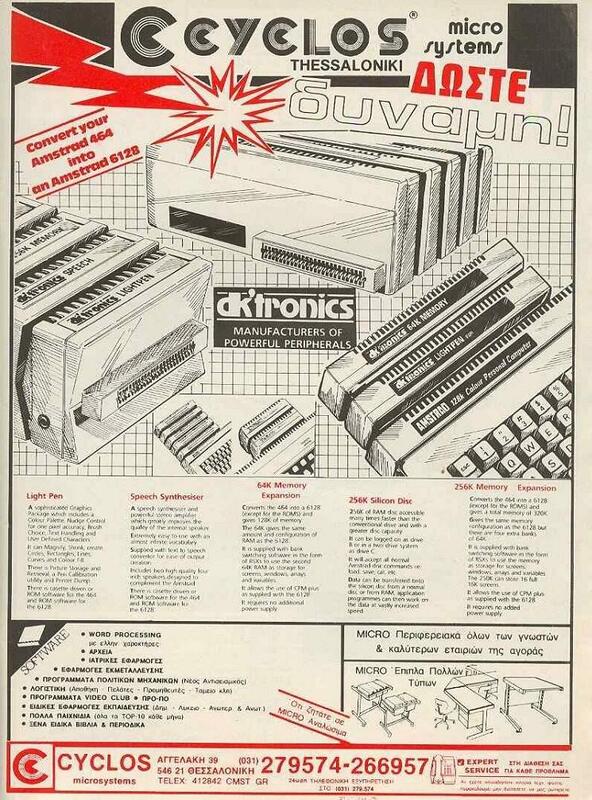 It now costs the same to buy 256K as it did to get an early 16K rampack for the ZX81, but it is perhaps more important that the advance of technology should have put an end to 'Rampack wobble'. 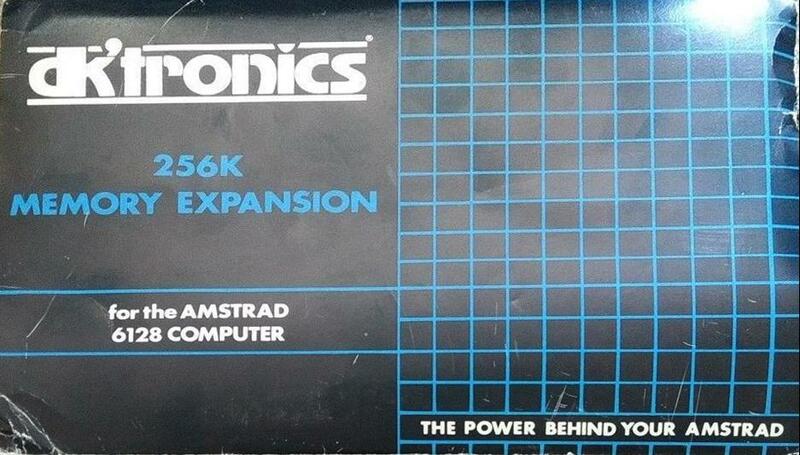 The extra Ram of the 256K board will only be useful in your own programs, unless it sells in large enough numbers to attract software, or to persuade software writers to at least allow you the option of using it. 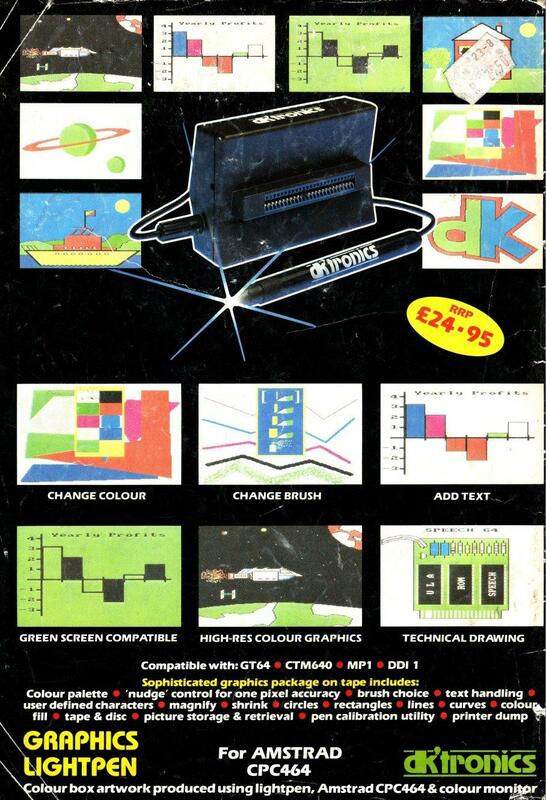 On the other hand it is much cheaper per K compared to the 64K. Both boards will be sold to fit the 6128 as well. 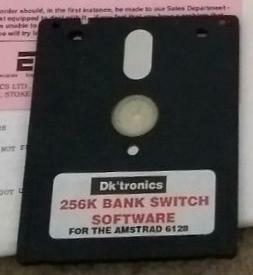 You can add up to 512K of banked memory in total. 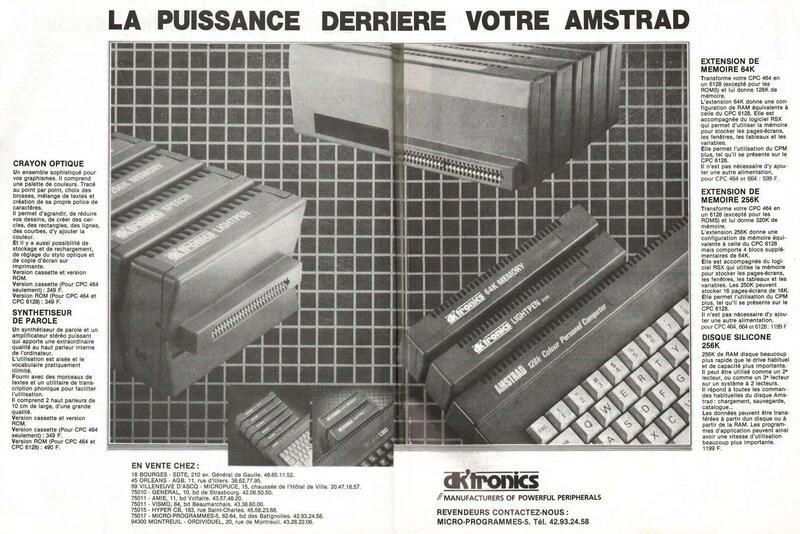 DKTronics has made every effort to make the expansions compatible with 6128 software, but realistically admits that a small percentage of programs will probably need adaption. 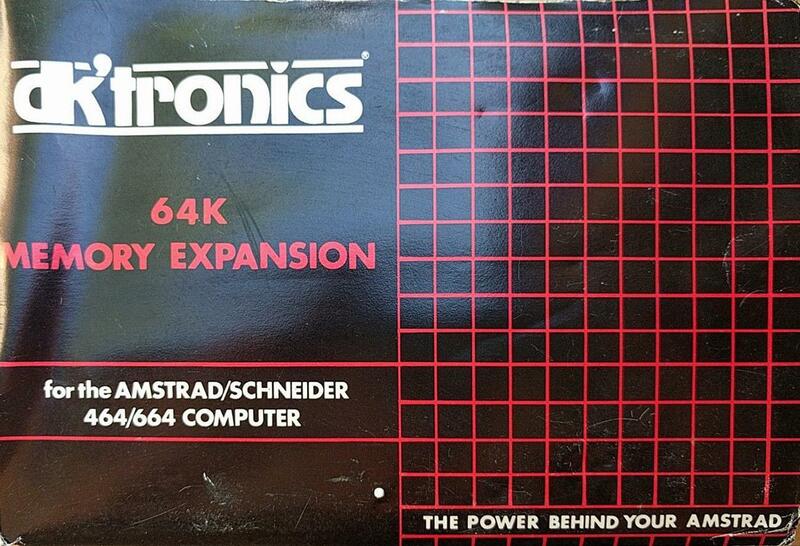 Any sensible software house will widen its market by making sure that all releases work with the 464/664 and board. 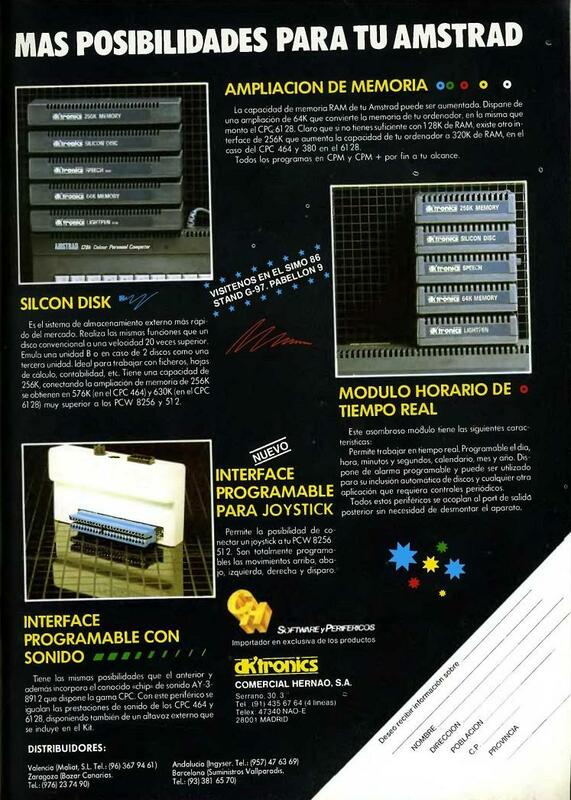 The memory is fully compatible with CP/MPlus but DK does not supply you with a system disc to use. However, since CP/Mplus with a large program area was regarded by many as the primary vindication of the 6128, some important business programs recently released run under this system only. DKTronics should be pestered to bring out an optioned CP/M plus disc as soon as possible. To date, there are only two 6128 specific programs to test the board on. Tasword 6128's the best of the Taswords to date - and as long as the DKTronics installation software is run first it works smoothly on the 464. The second, Masterflie 128 is an expanded version of the successful database with 64K free for data. It incorporates features from the Masterfile Extension Pack, ie, User Basic that lets you customise your database and perform almost any new function you need, file merging, and data export, the ability to save data in a variety of file formats. haps some games as well. The boards work well and therefore offer salvation for those that feel obscurely cheated by the release of the 6128. With the proviso that something needs to be sorted out about CP/Mplus, I can't recommend them strongly enough. Tasword 6128 - £24.95 from Tasman Software, Springfield House, Hyde Terrace, Leeds LS2 9LN. Masterfile 128 - £34.90 from Computer Software Design, 57 Trap's Hill, Loughton, Essex, IG10 1TD. Available from Amsoft next year.